to buy a couple of goldfish." Using the Little Hunting Creek as his water supply for the ponds, Frederick discovered the ideal conditions to breed and raise goldfish in this climate. Starting in 1950, Frederick’s son, Ernie Tresselt, took over the farm after serving in the marines and graduating from William and Mary College. 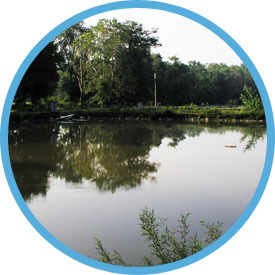 Ernie grew the farm to 125 acres, with 100 fish ponds and varieties of goldfish, koi and golden orfe. Working hand in hand with other professionals in the goldfish growing community, Ernie helped create aeration and feeding systems to sustain the growing farm. 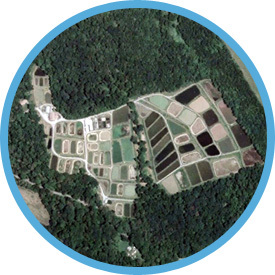 In 1980, the farm was producing approximately 12 million fish, including award-winning types of Japanese Koi. Production increased in the 1990’s, when HCF transitioned to Ernie’s daughter, Drusilla and her husband Raymond Klinger, along with Ernie’s son, John Fred Tresselt. HCF’s main facility expanded to accommodate additional office space for HCF’s 20 full-time employees, and began to explore the latest water gardening technologies. Today, the farm continues to produce the highest-quality domestic fish, under the watchful eye of Production Manager James Shubert and owner Matthew Frederick Klinger (son of Drusilla and Raymond). Jim has over 15 years of experience in spawning ornamental fish and holds a degree in Aquaculture from Mansfield University. Matt received his undergraduate degree from Franklin & Marshall College (Lancaster PA) and a MBA from the Kenan-Flagler Business School at UNC Chapel Hill. 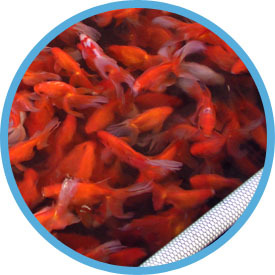 Under Matt’s leadership, HCF will continue to provide the highest quality products and services for which it has been known over the past 88 years, including exploring the latest green energy technologies and resources that will help revolutionize the efficiency and sustainability of goldfish farming and water gardening.